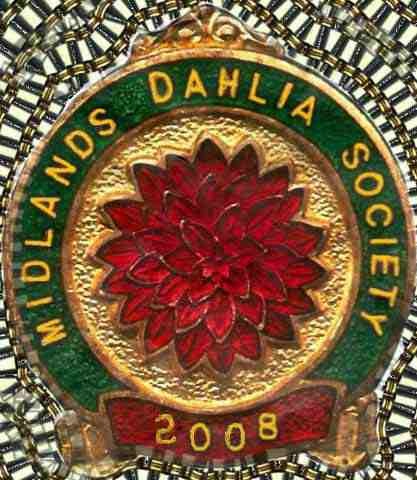 Midlands win the Affiliated Societies Championship for the Herbert Brown perpetual challenge cup, ahead of Vagabonds (2nd) and Monklands (3rd). 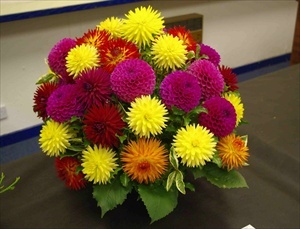 The Midlands entry comprised: Alf Ramsey, Kenora Challenger, Alf's Mascot and Primrose Diane. 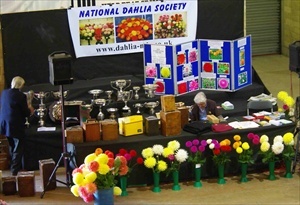 The NDS stand showing all the cups being prepared for the awards ceremony. 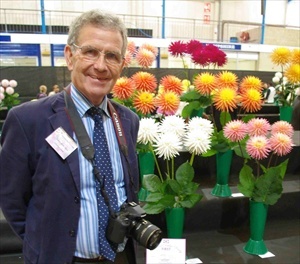 John Digweed comes second in the Perpetual Challenge Cup for Miniature Decs. 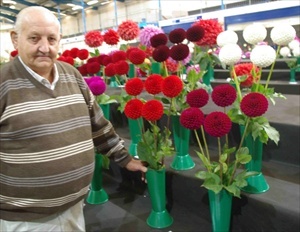 He showed: a new seedling, Suzanne Marston, Barberry Rio Park and Rycroft Jan.
Rycroft Crystal, Avoca Lu Lu. What about this one? 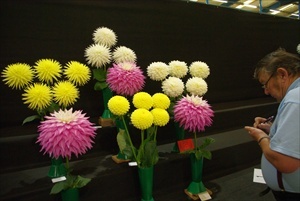 MDS Society chairman Ron points out his preferred winner to fellow judges. 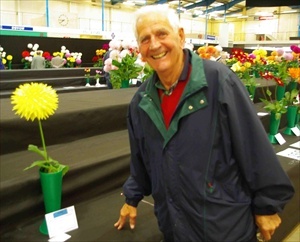 Ron asked me to mention that he came second in the Stephen Treseder Cup. 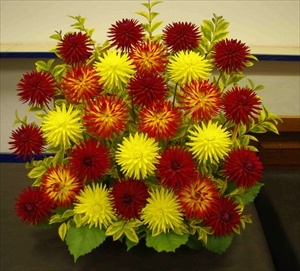 Also Roger Turrell won the Hamari Trophy for the best medium flower seedling. 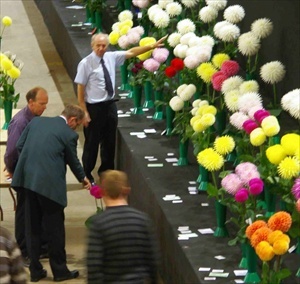 The National Show is also an opportunity for Dahlia enthusiasts to meet up and renew acquaintances. 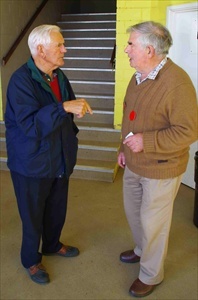 Les meets up with Brian Buckley from Christchurch, New Zealand. 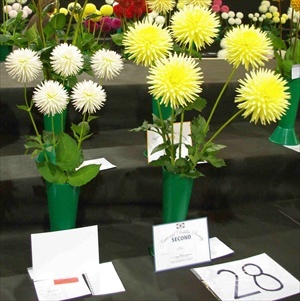 Marie Jane Roberts wins the G.F. Crowley Cup in the miniature seedling class with Avon Snowflake. 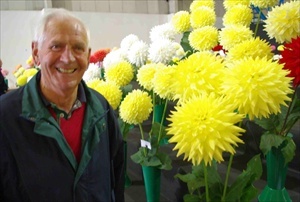 Les Jones was second with his new seedling, yet to be named. On the left: he was second in the Maurice Lord Cup in the Large Dec class. He showed Grace Kendall. class 38, again with Grace Kendall.